The national FARM Program holds their members to rigorous guidelines that ensure the utmost quality on our nation’s dairy farms. We understand there’s always work to be done, so the FARM Program creates a culture of continuous improvement that allows the dairy community to work every day toward positive change. 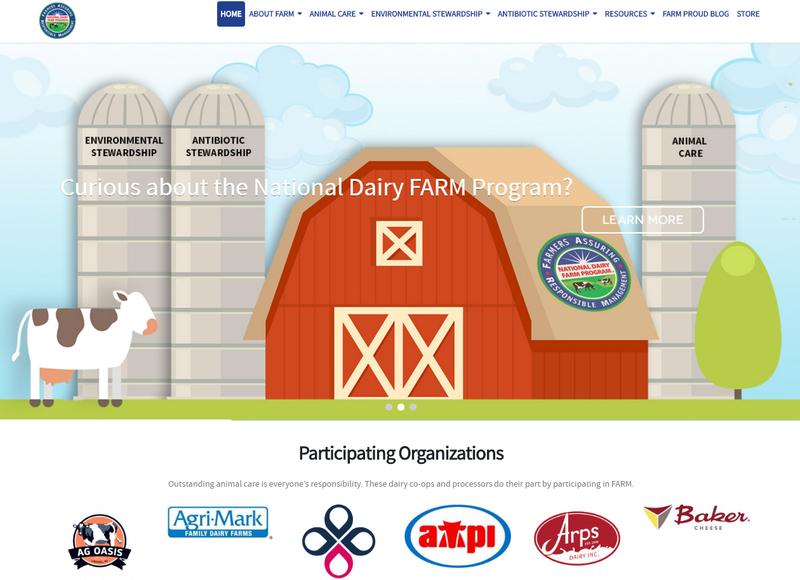 As a participating organization, all of our family dairy farmers who supply Arps Dairy with raw milk will continue to implement and abide by the requirements of Farmers Assuring Responsible Management Animal Care Program (FARM) membership. All of our dairys are required to have animal care standards to ensure that the cattle and the milk are held at the highest standards in the industry. We want to supply our consumers with the best milk possible. With the standards of the National Farm program, we are able to supply our producers with the standard. At Arps Dairy we understand that our consumers expect – and deserve – safe, wholesome food from people who are producing it responsibly. Our family dairy farmers go to great lengths to treat their animals with the utmost respect and compassion (read more about our farm practices), and we participate in the FARM program to not only demonstrate our commitment to the highest standards of animal care but to also show consumers that we are doing what is right for our animals and for our customers. Today with our consumers being more involved with where their food comes from we need to ensure that we are providing them with the best information as well as a transparent view. With the help of the FARM Program we are able to do this and know that our farms are working to these standards. Through the FARM Program there are also standards provided for our environmental stewardship, we want to make our community the best we can and then means taking the best care of our land as we can. There is so much for everyone to learn through the FARM Program.